Over the last year, our own Contributing Writer Tia Shah, has been writing an amazing column about trailblazing girls throughout history. This new Incredible Girls column is in that vein, only this column is about contemporary girls under the age of 25 who are doing awe-inspiring and significant things in the world. Every Friday in 2019, we are going to post a column detailing the life of an Incredible Girl and why you should know about her. Read on for a glimpse into the life of climate change activist, Maddy Fernands. As I’ve said for the last couple of weeks, this column might turn into a love letter to badass climate change activists for the foreseeable future — and I regret nothing because they are all so incredibly awesome and a fitting part of this Incredible Girls column. Let’s dive in. 16-year-old Maddy Fernands is the national press director for the US Youth Climate Strike organization. 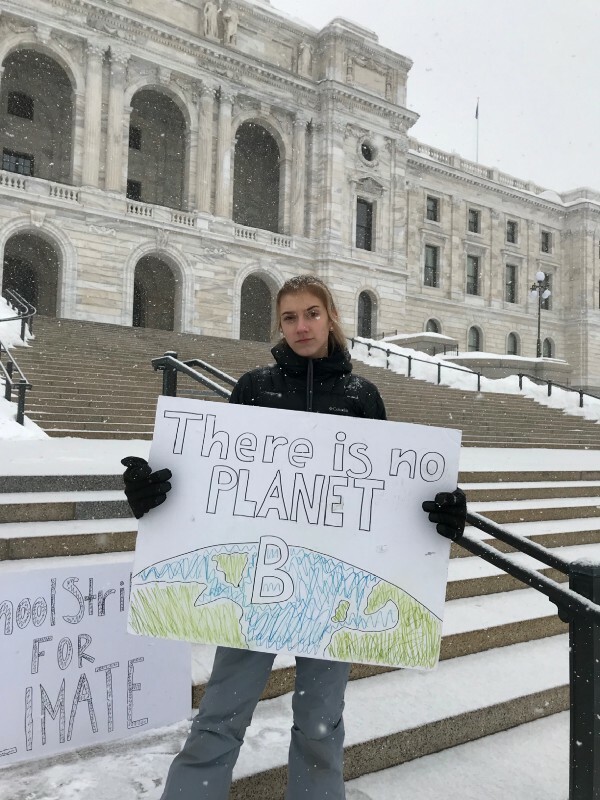 In addition to being a full time high school student and her work with USYCS, she is also a part of Minnesota Can’t Wait, Youth Environmental Activists of Minnesota and Sunrise. In an op-ed in the Bulletin of the Atomic Scientists, Maddy, along with Isra Hirsi, Haven Coleman and Alexandria Villaseñor, wrote about what striking for the climate means to them and why they are taking action. “Instead of taking action on the imminent threat of climate change, our leaders play political games,” they said. “Because adults won’t take our future seriously, we, the youth, are forced to…we strike because our world leaders haven’t acknowledged, prioritized, or properly addressed the climate crisis. We strike because we believe the climate crisis should be called what it really is: A national emergency, because we are running out of time. Society only has 11 years left to avert the worst consequences of climate change, and governments and individuals worldwide need to act now. Maddy, along with countless other activists, are trying to shift conversation around climate change, and change the world for the better, and that is deeply admirable — especially considering all of the obstacles in their way. The people in power need to do a better job (or anything, for that matter) at combating climate change and ensuring that future generations are left with a habitable planet. In an interview on Medium.com, Maddy talked about the role that politicians play in ensuring action (or inaction) around climate change initiatives. The fossil fuel industry has deep pockets, and youth activists like Maddy are focused on making sure that it becomes politically untenable for politicians to not support action on climate change. Young people feel more of an urgency to act on climate change, while older people as a whole might be more complacent about climate change action. Thanks to Maddy and other youth climate change activists who are taking a stand and laying it all out there, we can effect real change in society and hopefully stop climate change in its tracks.